Learn crochet and make new friends. 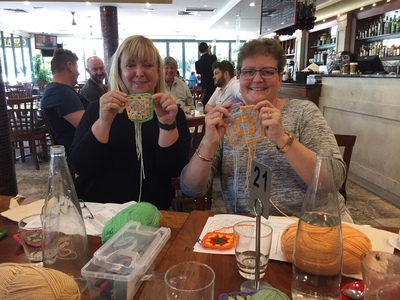 The Brisbane Crochet Club organises crochet classes run by Professional Crochet Instructors for beginners, all the way up to experienced crocheters. Amigurumi is the Japanese art of crocheting small cute creatures. It's the latest craze in the crochet world! Learn step by step with our Instructors on the basics of Amigurumi and start on a easy project during the class. This class is recommended for those with medium level of crochet knowledge. Had a wonderful morning under the guidance of Chinta. She is amazing! Very patient and such a talented, friendly young girl. 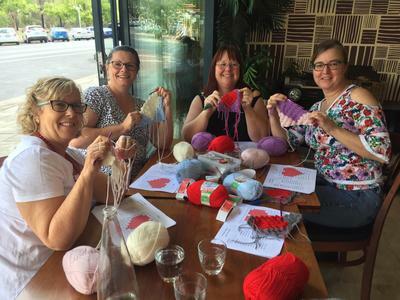 I would highly recommend Brisbane Crochet Club to learn how to crochet. I really enjoyed the session. I wasn’t feeling well on the day.but I still got a lot out of the class. Was a lot of fun, small class meant got plenty of one on one coaching. Great venue! Wonderful, patient teacher who adapted to teach a leftie! It was a really enjoyable and relaxed event. I had a great time. Rhonda was fantastic, very knowledgeable about her craft and very helpful. I highly recommend this event. I enjoyed the class and now know the basic stitches of crochet. The instructor was terrific, the location was good as a suburb only! Lovely students, learnt so much and looking forward to my next class. It was enjoyable and I learned another skill. Nice instructor. A lovely group of ladies. Rhonda was very good and it was a really great day. I enjoyed this event and found the instructor to be very personable and friendly. She took the time to attend to everyone's skill level and was very knowledgeable. Lovely event, patient & knowledgeable tutor. Would love to go again. Enjoyed it very much. The instructor was so patient and knowledgeable. I revived a skill that I thought was lost. 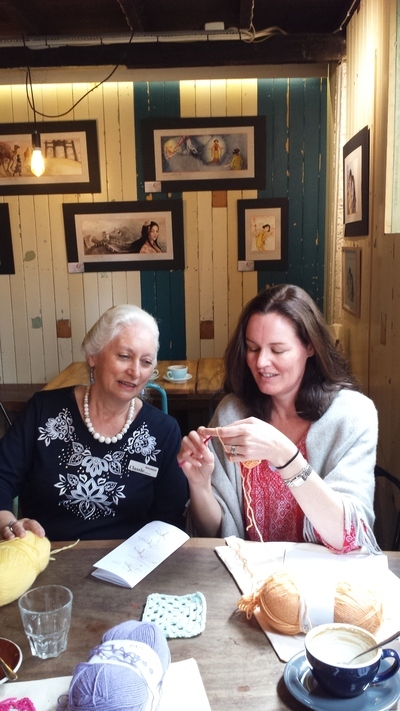 Rhonda was really helpful - was a very pleasant way to spend a morning learning a new stitch while meeting and sharing. I was really pleased with my achievement and learning gained. Will do again definitely. Fantastic. Rhonda was very patient and made us all feel at ease. Great morning. Very enjoyable, meeting others with shared interest and learning new stitches. Great teacher! Chintz the instructor was knowledgeable , very helpful and a lovely bright person. The venue was brilliant. Food and coffee top rate and very well priced. The area was comfortable and well lit. Rhonda was prepared and helpful. A true delight.